Front Binding – Hello dear readers! 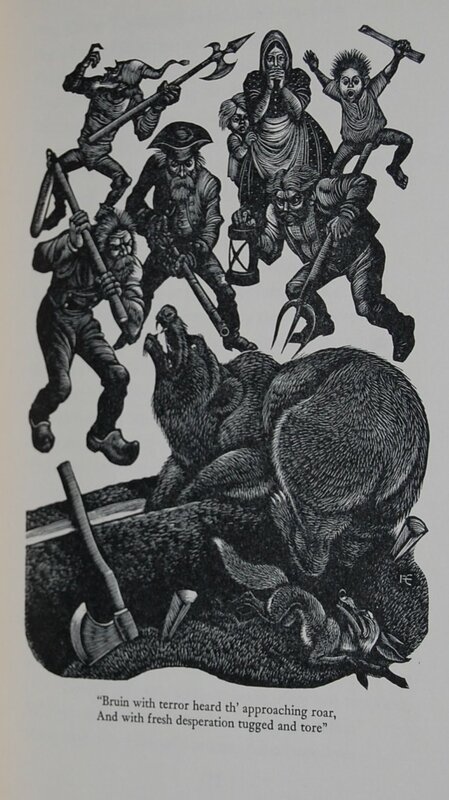 Today’s post features an illustrator I hold most dear; the masterful Fritz Eichenberg, who has made quite an impression on this blog with his exquisite woodcuts and other art scattered throughout the Limited Editions Club, the Heritage Press and a few non-Macy publications. His Macy bibliography is covered in The Brothers Karamazov. 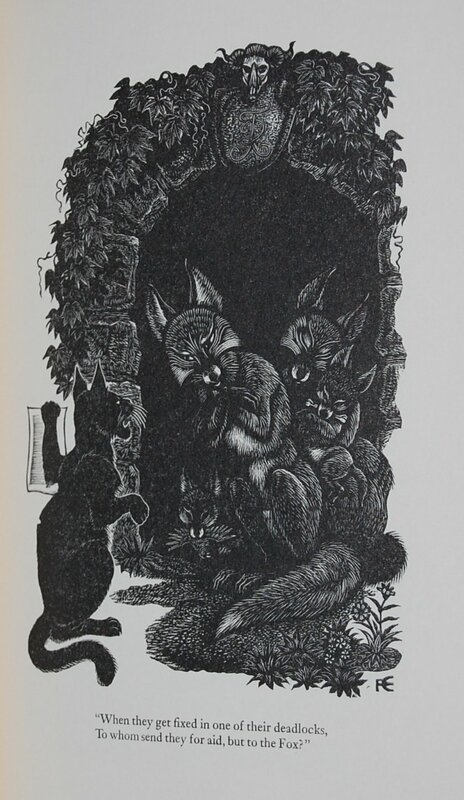 But here we get to see a slightly different side to Eichenberg as the majority of his engravings feature animals over humans (although humankind is represented here in the book), giving it much more of a fantastical edge. 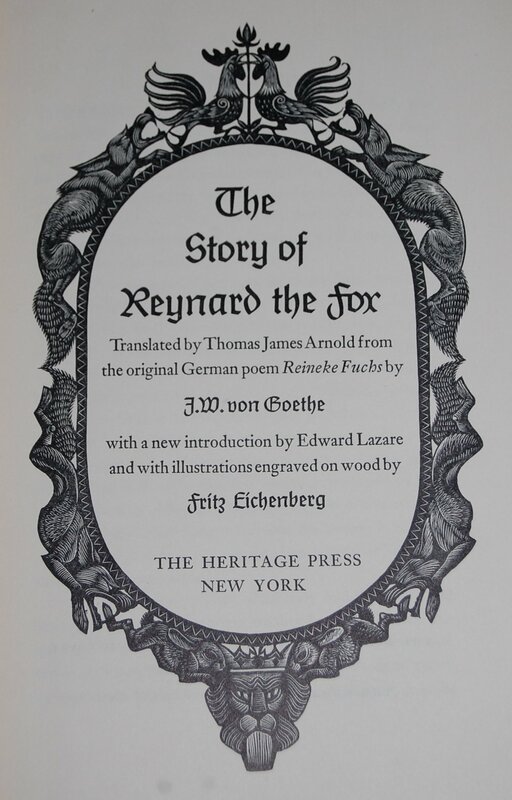 This is an epic poem from the legendary Germanic author Johann Wolfgang von Goethe, although it is not the first appearance of the character Reynard the Fox — according to the introduction the fox has been around at least since the medieval period, with some variants of the tale appearing in Ghent (1148), German (1180), France (1175-1250), and Flemish (early 13th century). English has its earliest version appearing in the thirteenth century as well, alongside an Italian version. 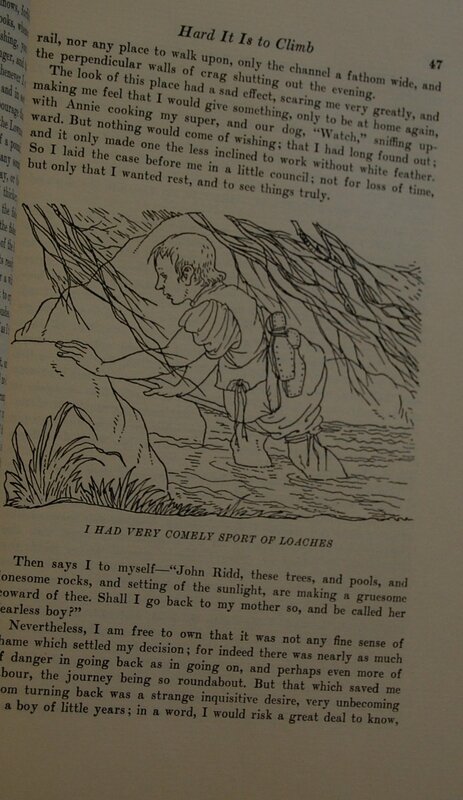 In short, Reynard has been around a long time, although it is a particularly excellent spin on this iconic tale that George Macy chose to publish. Goethe makes his debut on our blog at last, as noted one of the German masters of literature and quite a well-rounded contributor to Germanic academia: among his many talents (including literature) were expertise in art, philosophy, science, diplomacy, architecture and botany. However, we will focus on his skill with the written word, of which George Macy printed two examples of (and his wife Helen a third). The play Faust was the first, issued as a LEC in 1932 starring Rene Clarke’s talents. 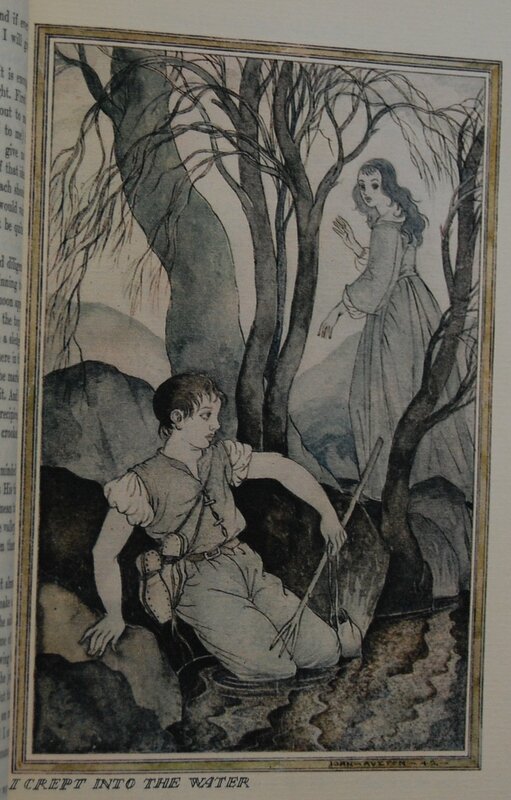 A Heritage exclusive of the same work was issued later on with Eugene Delacroix’s artwork, possibly in 1959 (I don’t have a copy in front of me to confirm my quick research on ABEBooks; I will update this once I do). I believe it uses the same text as the LEC. 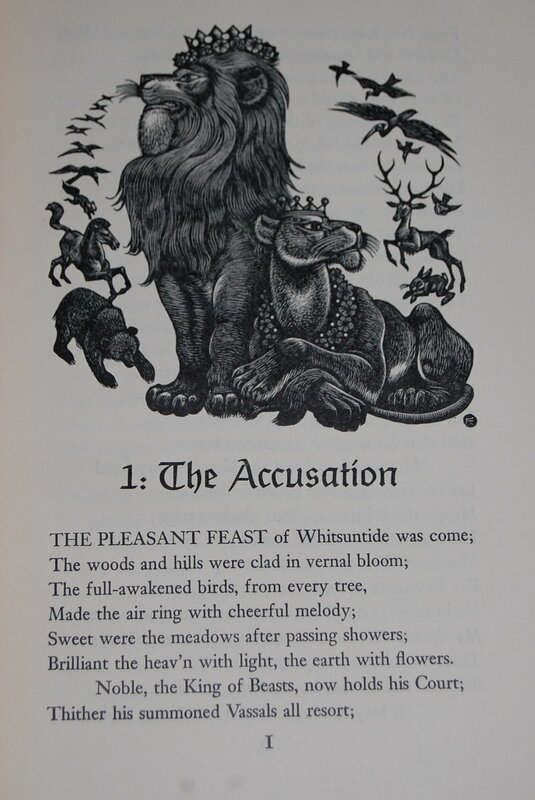 Next came this epic poem in 1954 for both clubs, followed by what may be his greatest novel Wilheim Meister’s Apprenticeship in 1959, featuring William Sharp as artist. 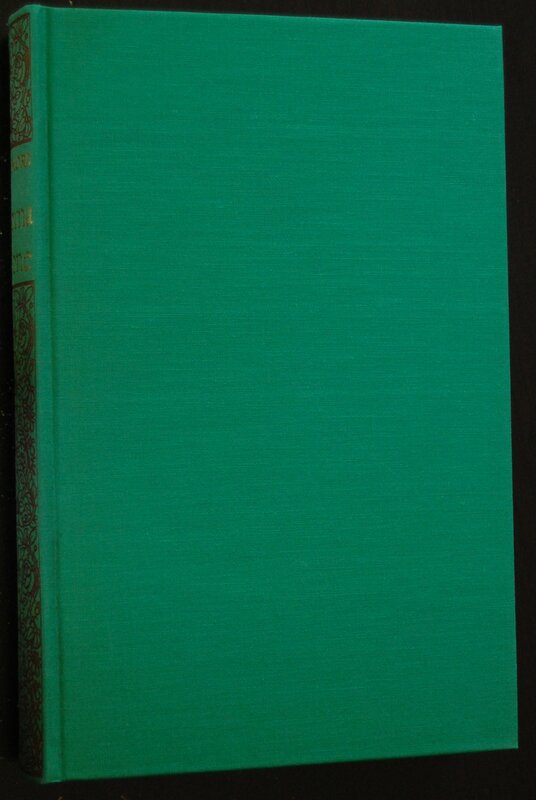 Not printed by Macy or his other clubs would be the contender for Goethe’s greatest novel, The Sorrows of Young Werther, which helped propagate the worldwide literary movement of Romanticism. Design Notes – The original LEC was designed by Eugene M. Ettenberg, who likely carried his designer title over to the Heritage edition as well. The font is Janson. 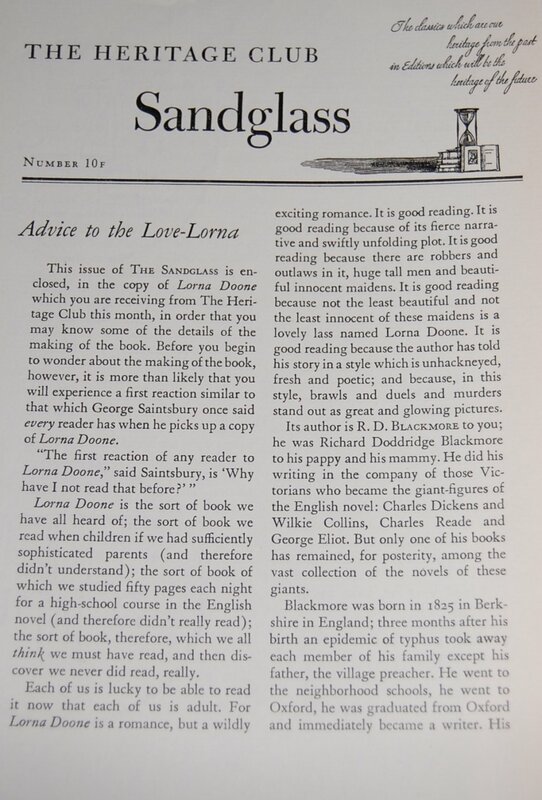 I don’t have a Sandglass unfortunately so I can’t get too much more into the details than those observations in the Quarto. 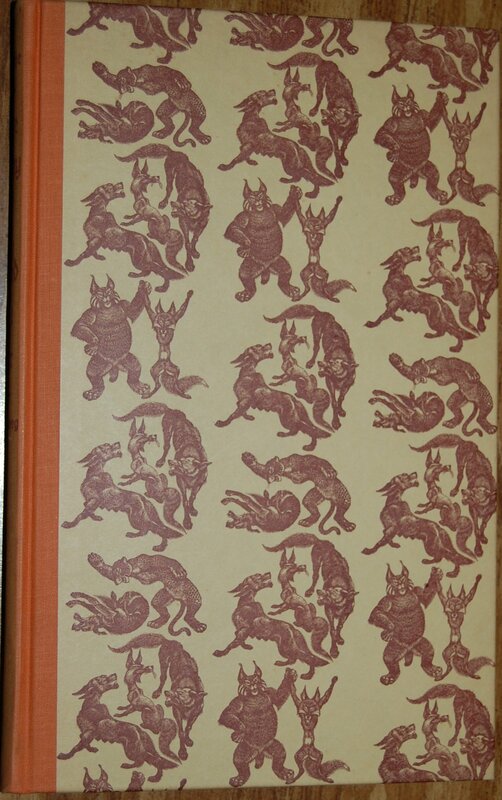 Title Page – I really like this decoration Eichenberg crafted up for this page. Edward Lazare stepped in to provide a new introduction to this work, which was translated by Thomas James Arnold. Page 1 – Each major chapter of the poem gets a header engraving such as this. Eichenberg was undoubtedly a master of his craft! 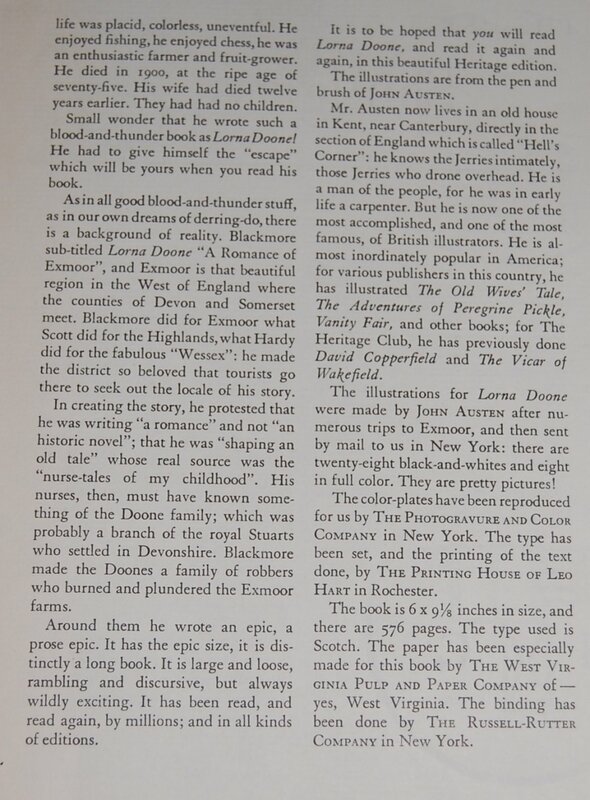 Page 29 – There are several full-page engravings as well. 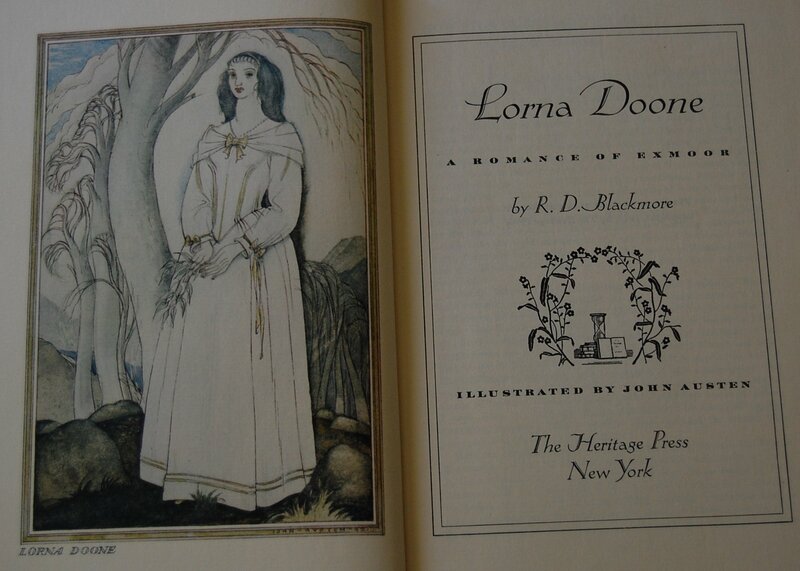 No shortage of woodcut excellence in this book. Personal Notes – This was another title Liz sent me last year. I plan to upgrade to a LEC down the road, but will hold on to this title until that day comes. You are currently viewing the archives for August, 2017 at The George Macy Imagery.